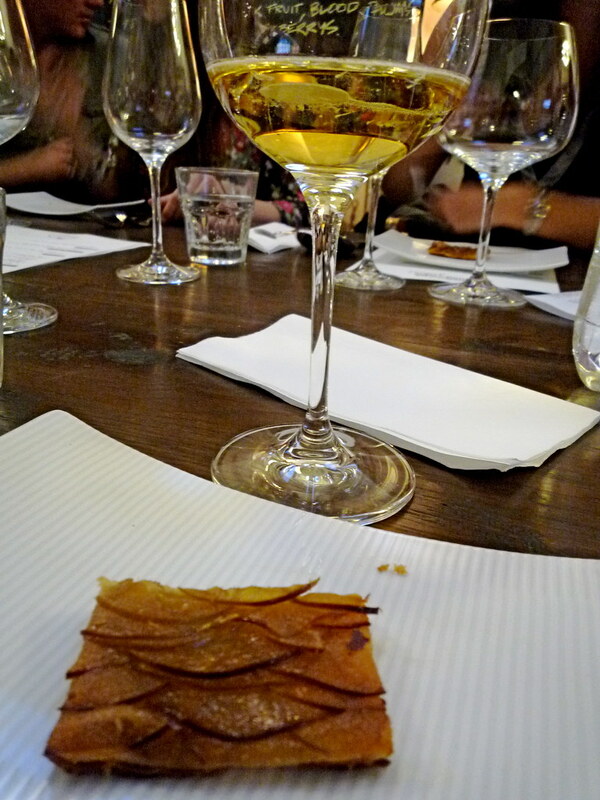 When I wrote up my Melbourne Food & Wine Festival round-up last week, I mentioned that my festival highlight was an event called Dessert and Wine Matches, and Beyond, and that I'd dedicate a separate post to it. The other guests, my lovely dining companion Miss F and I were safe in the very capable hands of desserts guru Pierre Roelofs and sommelier Raúl Moreno Yagüe (former sommelier at Vue de Monde and now co-owner of Entre Tapas y Vinos in St Kilda). Quite frankly, the tickets were a steal at only $50 each. 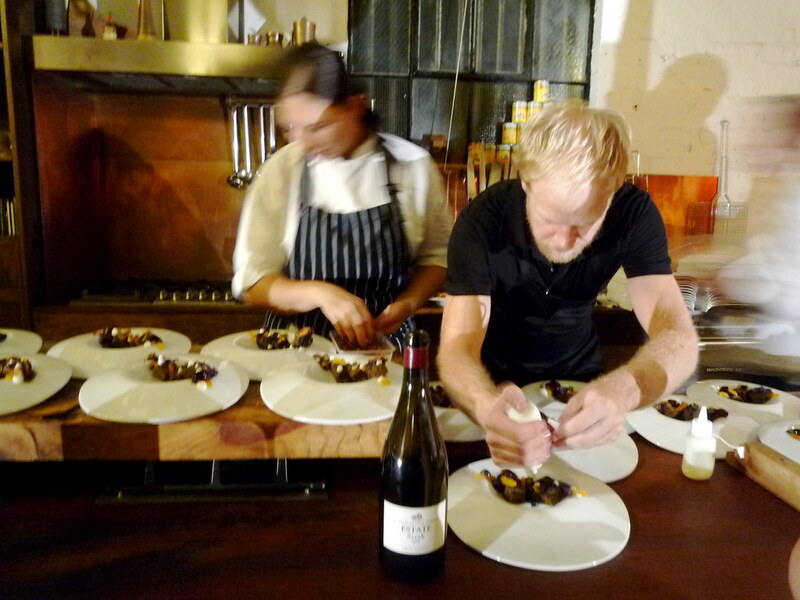 The great thing about the event was that the focus was not on the food nor on the wines, but more specifically on the symbiotic relationship between the two. Some of the courses were a little experimental, but they were approached in such a fun way by Pierre and Raúl that it never felt academic. I double-checked the address of the venue as I approached. 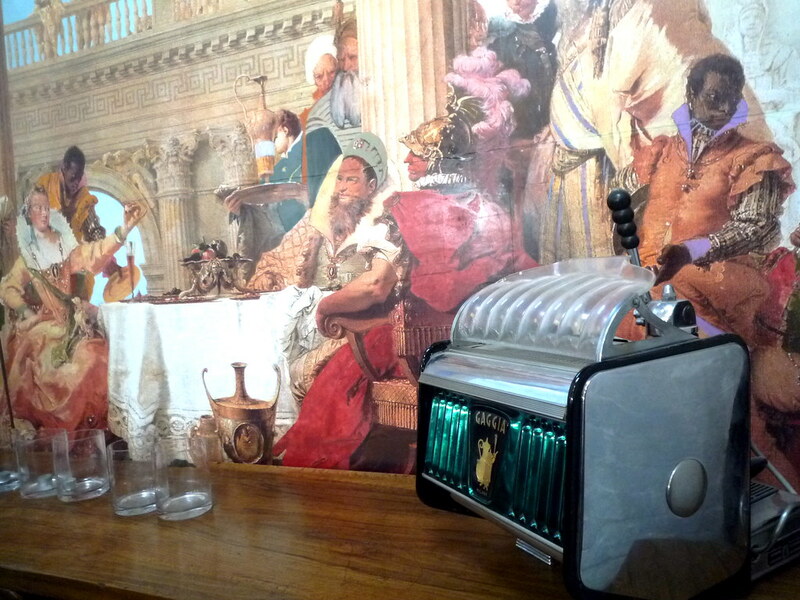 It was being held in the showrooms of Arteveneta, a furniture manufacturer and restorer. 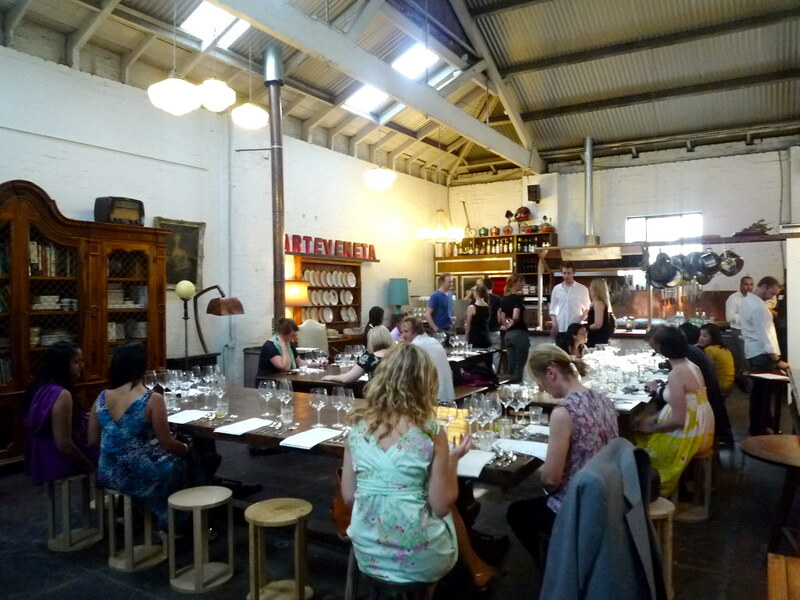 The most unusual setting I've been to yet for MFWF. It was a gorgeous space though - nice and intimate. Upon arrival, we were given a tasty little palate cleanser of vodka, cucumber, elderflower and a little lime zest and juice. The introduction to food and wine pairing began with "three sweet mouthfuls", giving us three different flavours, textures and wines. 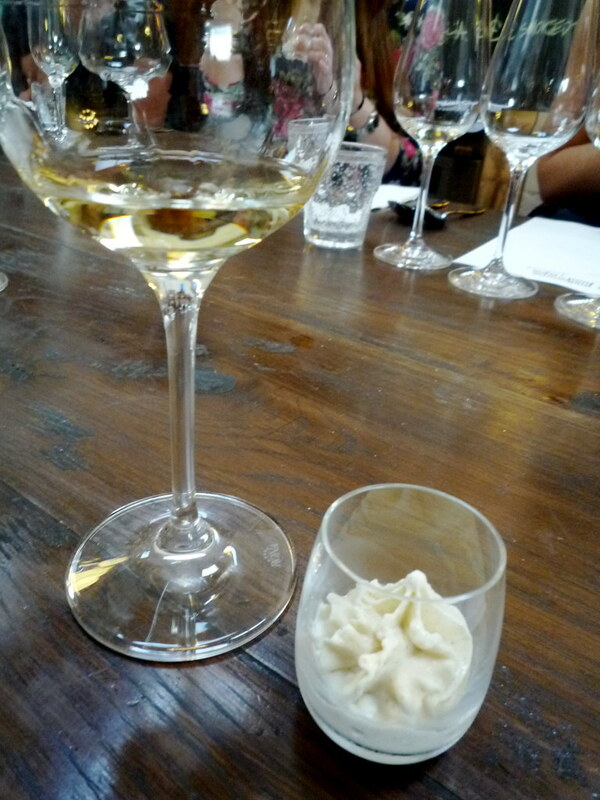 1st: vanilla ice cream with a 2006 Domaine de Durban Muscat de Beaumes-de-Venise (Rhône Valley, France). 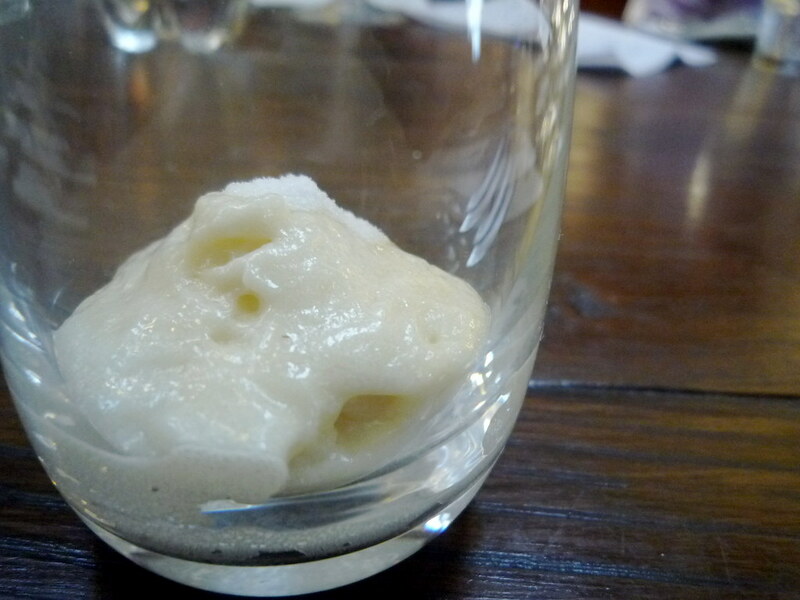 2nd: honey foam with an NV Chambers Muscadelle (Rutherglen). 3rd: chocolate mousse with a 2005 Monmousseau Blanc de Blancs "Cuvée J.M." (Touraine, France). The vanilla ice cream was simple and subtle, made with dextrose to make it less sweet, and with a hint of salt. 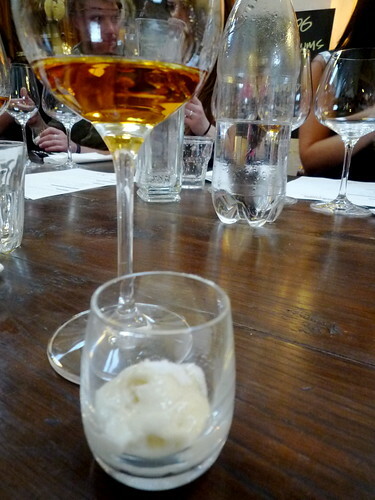 When Raúl was deciding what to match it with, he felt a botrytised wine (such as a spicy Sauternes) would overwhelm the subtlety of the ice cream. He decided on the Muscat de B-d-V as it is a fortified wine that could cut through the ice cream as it coated our taste buds. The muscadelle was served at 14 degrees rather than at room temperature, to bring down a bit of the "heat" of the wine but to keep the lovely tangerine, mandarin, Christmas cakey characters. The honey foam was EXQUISITE, my favourite single flavour of the night. Pierre told us he chose to make it with Victorian leatherwood honey rather than, say, manuka which he'd found in the past to be too strong. The fluffy wet foam was topped with a few sprinkles of freeze dried honey. Mmmmmmmmmmmmmm. The chocolate mousse was made to a Pierre Hermé recipe, using 54% chocolate ("not Valhrona, but a good middle-of-the-road chocolate"). 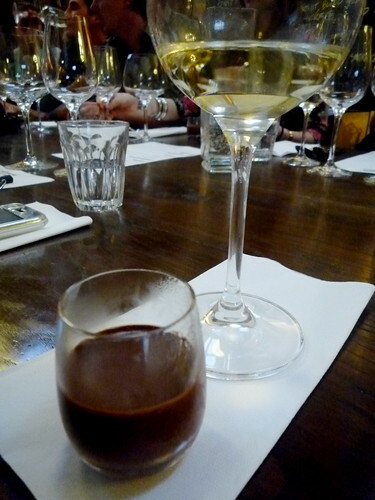 The matching of chocolate with a dry sparkling wine was surprising to say the least! 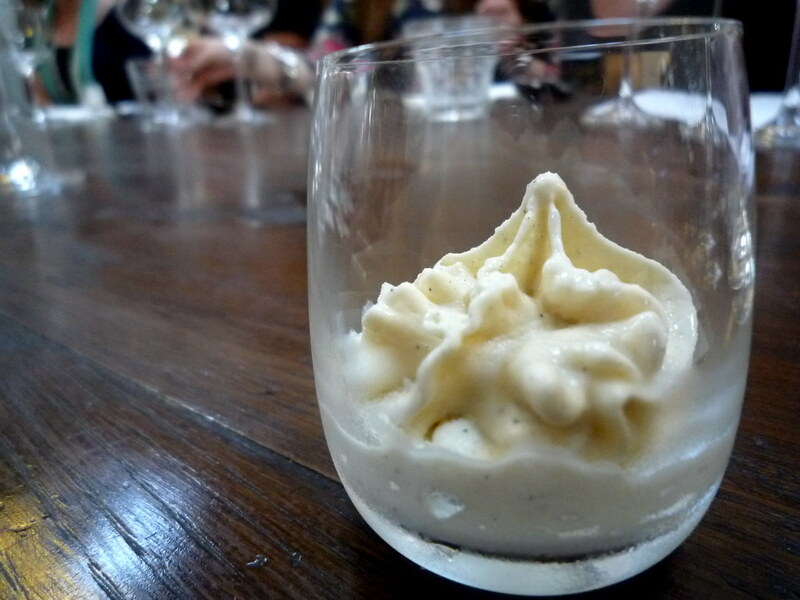 But I thought they worked brilliantly well together: the sparkling wine, at first lemony then slightly more tropical fruity, kept the palate refreshed and had just the right amount of yeastiness to enhance the nuttiness of the mousse. He explained to us that rather than trying to match the apples in the apple tart, he'd decided to go with something yeasty to enhance the buttery, savoury, salty flavours of the dough. Much as I love clean ciders (I've been practically living on Coldstream Cider from the Cherry Tree this summer), there's nothing like a really good sidra that's all barnyard stink and mustard and blue cheese. And I mean all that in the best possible sense. Its matching with the apple tart was possibly my favourite matching of the night. Raúl and Pierre, eloquently charming the pair of them. I was really impressed with the way they immediately put everybody at ease, and fostered discussion and audience participation within the room, rather than just lecturing to us. The atmosphere in the room was warm and relaxed and enthusiastic. The next course was titled "Textures come into play" and this is where the Roelofs touch became really evident with the "Pierre's Style" dish of mandarin, corn, coconut and chocolate. 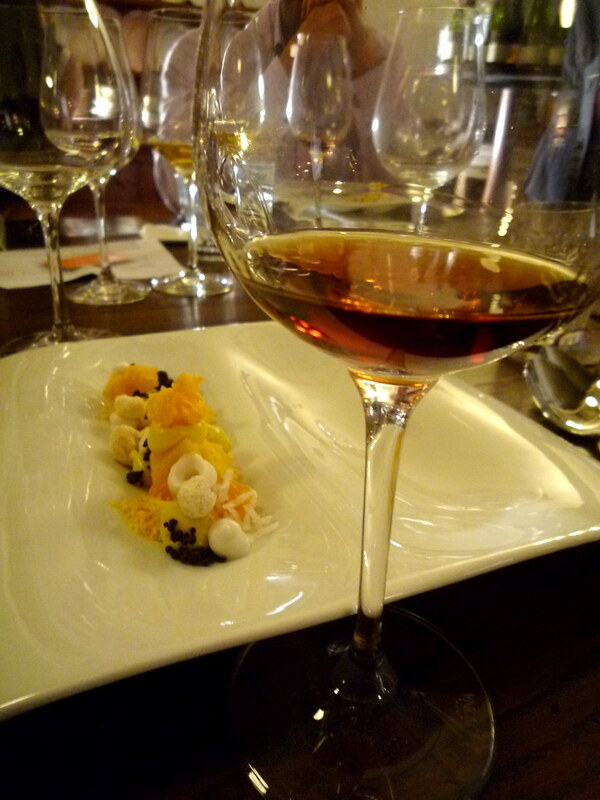 It was matched with a NV Sauci Naranja (Condado de Huelva, Spain), a wine whose citrus explosion on the palate is explained by the fact that the wine is aged on dried orange rinds for six months. Some really lovely secondary characters such as zabaglione, orange blossom and sandalwood still came through though. But let's break down "Pierre's Style". 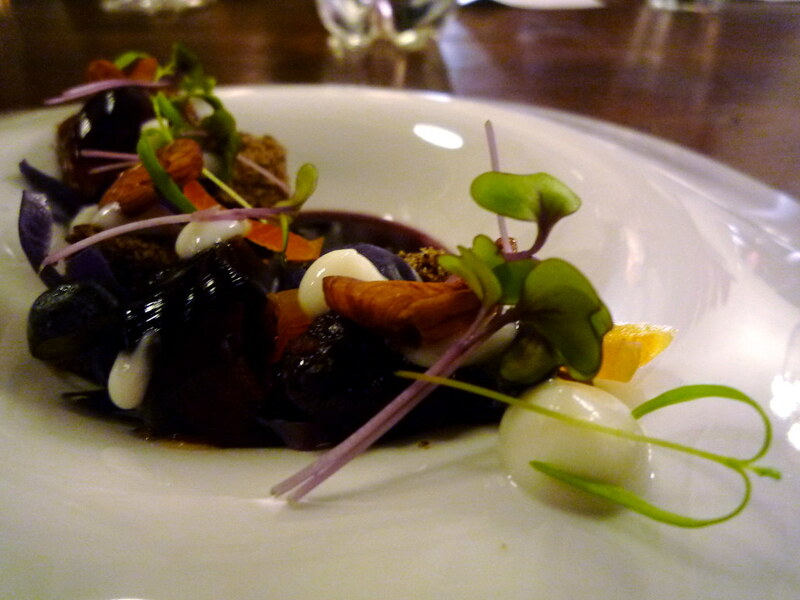 Pierre told me that he originally wanted to include 14 elements to this dish but then worked it down to nine. I *think* this is all of them: corn bread (made according to Johnny Cash's recipe! 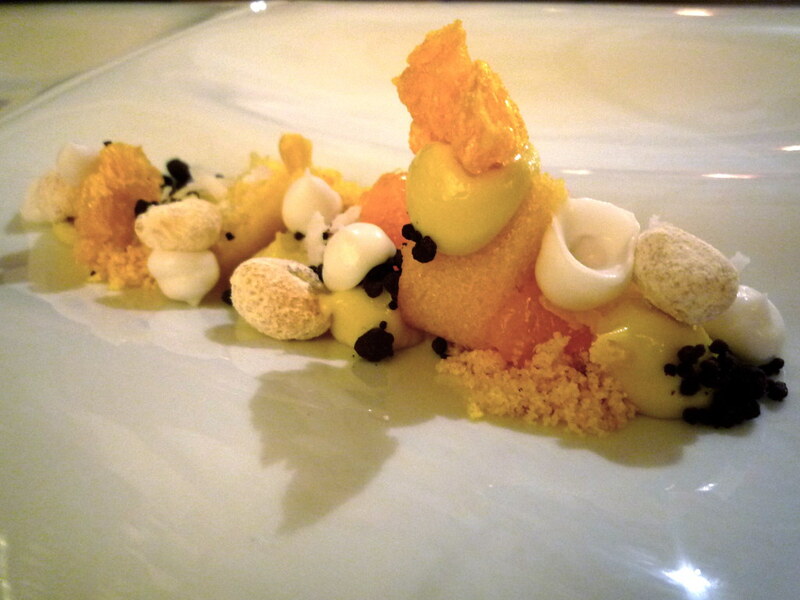 ), puffed corn roasted in honey, dehydrated corn, semi-dessicated coconut, tiny sheets of polenta baked and then crumbled, mandarin marmalade, fresh mandarin segments, crème pâtissière, crumbs of pure cocoa. Wow wow wow wow wow. I LOVE THIS MAN. I split my dish in half and explored the first half by just tasting and savouring one element at a time, then for the second half combining elements to see how they all tasted together, both in terms of flavour and of texture. The maestro at work. 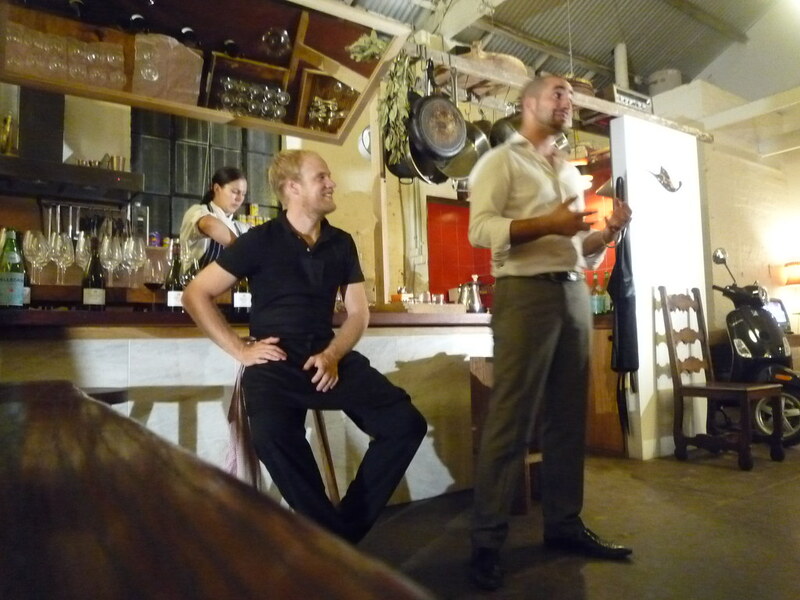 Having the demonstration mirror above the bench allowed us to watch him construct each course, element by element. At the end of the night we were chatting and I realised that I knew his girlfriend, as she used to teach me yoga! Lovely people. The final course was somewhat intriguingly titled "Reverse Matching", and Raúl explained to us that they'd decided to experiment with something a little different: rather than using the dessert as a starting point and finding a wine to match, Raúl had selected a wine he wanted to serve, described to Pierre what he could smell and taste and then had Pierre create a dish around that! 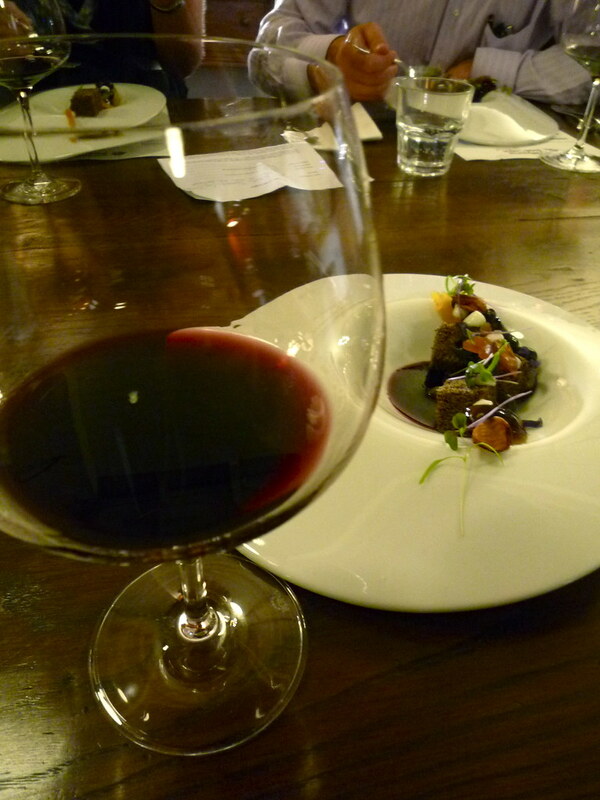 The wine in question (deliberately not a dessert wine) was the 2006 Sutton Grange Estate Syrah (Central Victoria). Some of the flavours that Raúl picked up in the wine included blueberries, medicinal sasparilla or Coca-Cola, cabbage, tea, almond meal and (uncharacteristically for shiraz) spearmint. Can you imagine making a dessert from those ingredients?! Well, this is what Pierre did: a black smoked tea (Russian Caravan) and semi fermented cocoa nibs cake, a sasparilla jelly, spearmint essence gel, dried apricots, mulderberries (freeze dried and then rehydrated with shiraz), shiraz sauce thickened with xantham gum, cabbage (boiled slowly so as to retain crunch, then cooked with maple syrup), dehydrated almond skins (Pierre very cutely thanked his housemates for putting up with the smell as he'd boiled the almond skins off and then dehydrated them for four or five days). I felt this pairing best exemplified the philosophy that Raúl had articulated at the start of the night: any flavour can be matched with anything as long as you break it down. The ingredient list above may sound like a total nightmare recipe, but I was genuinely surprised to find how well it all worked. Fascinating. 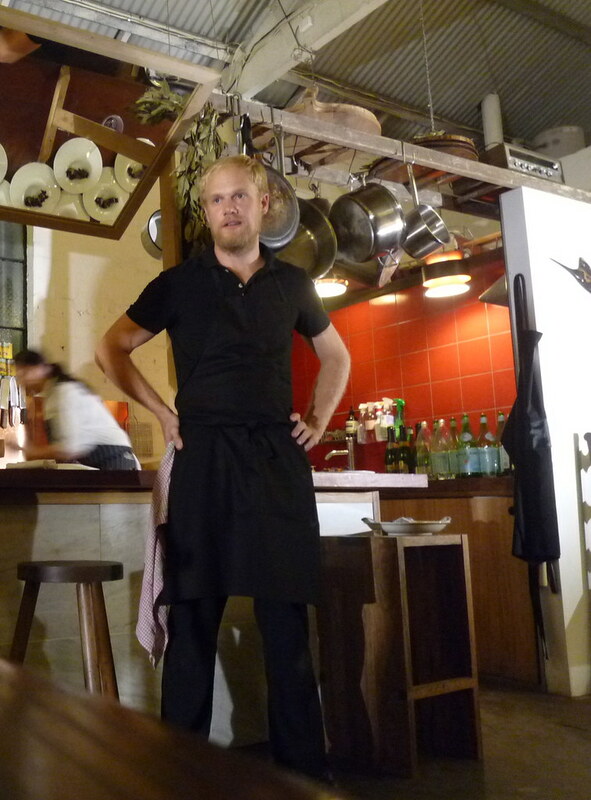 The good news for those of you that missed out on the evening is that Pierre Roelofs is making his return to Collingwood/Fitzroy with dessert only evenings every Thursday night from 22 April. 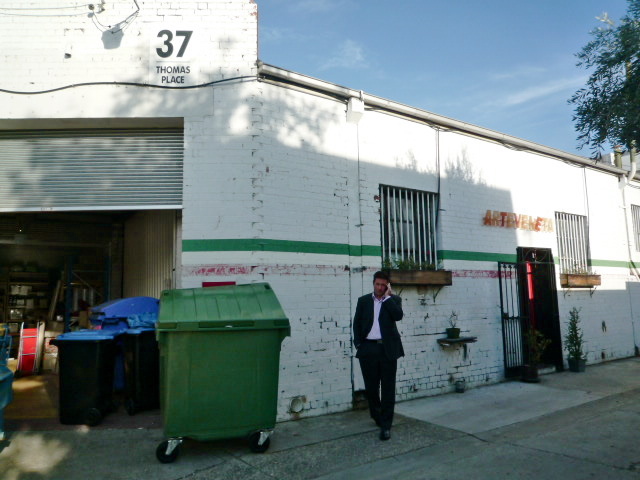 They'll be held at Rosamond, Rear 191 Smith Street Fitzroy (cnr Charles St), 94192270. I for one can't wait! Oh wow. This looks absolutely amazing. As a lover of all things sweet the idea of a dessert only degustation sounds fabulous. Have put the date in my diary and will be trotting along to Cafe Rosamond asap. That sounds amazing! What gorgeous creations...I want! Spewing I didn't make it to their matching session. Pierre's desserts look incredible. 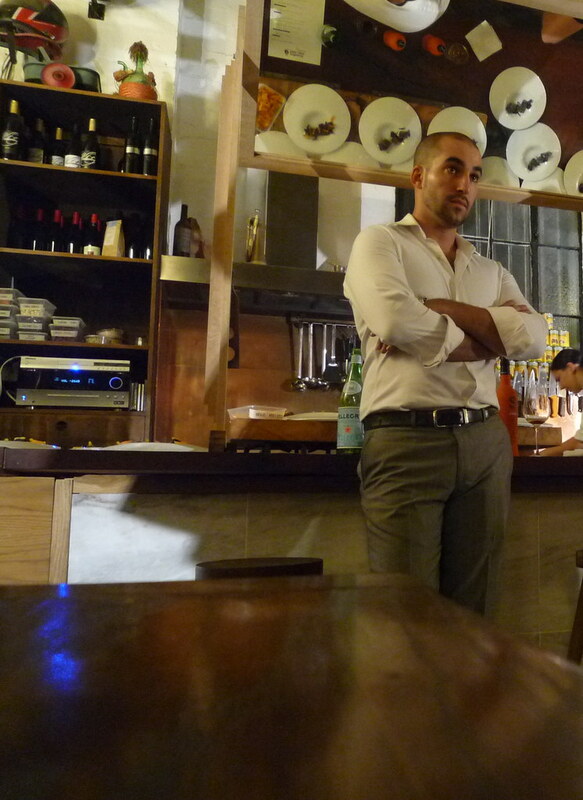 In awe of his wine-inspired desssert. Can't wait to head to their dessert night soon! 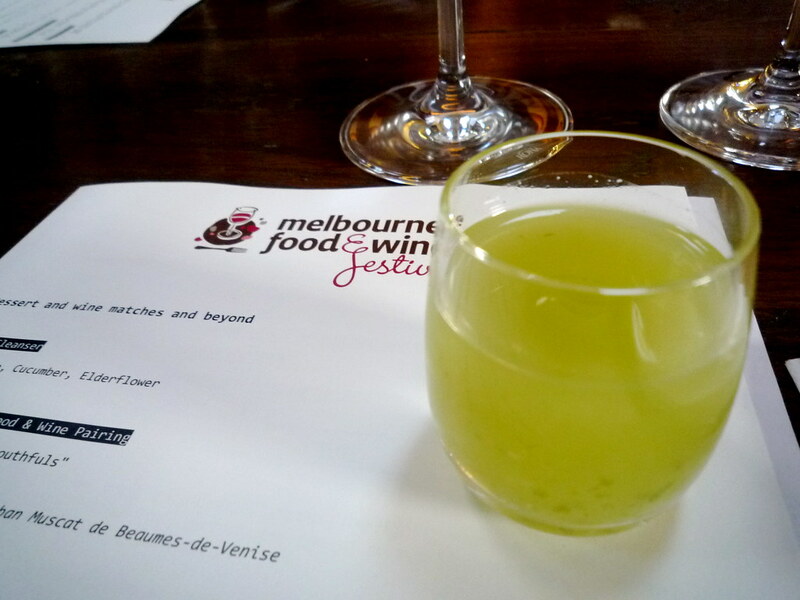 Wow, this looks like quite the gem out of the MFWF events. $50 is unbelievably reasonable. Will definitely try to go to the Rosamond dessert nights. Sounds a treat. Coldstream cider on tap! I miss it muchly.